Consciously or unconsciously? Lol. I say this because I had been natural all my life up until 2003 when I decided to start growing out my hair and then I relaxed it. 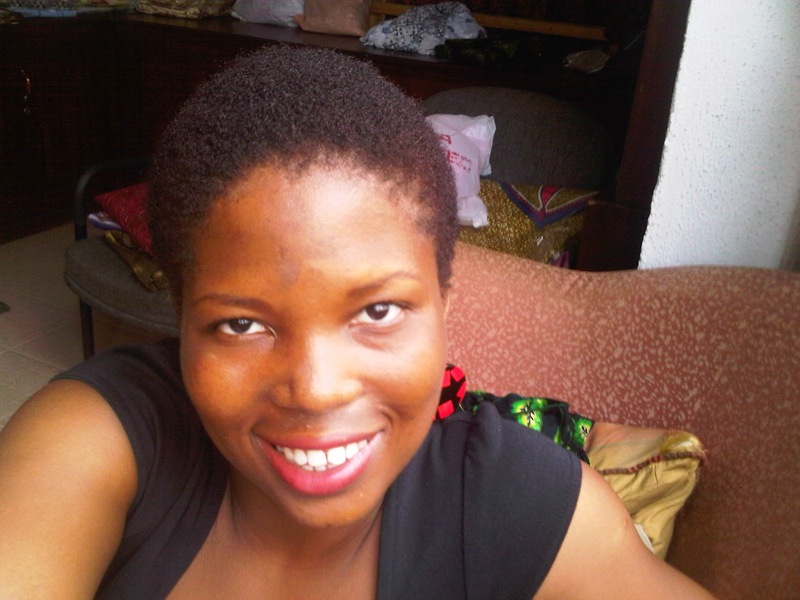 I had a TWA but didn’t know that I was ‘natural’ or that what I had was called a Teeny Weeny Afro:). I consciously decided to go natural in 2009 when I transitioned for about 8 months. 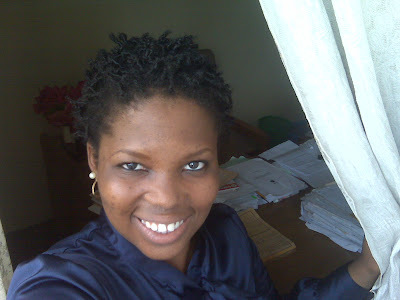 I had a relapse in September 2010, regretted my decision and big chopped on the 3rd of March 2011 making me 2years natural. The journey has been one-kind, let me not lie. Most days I love my hair, like LOVE! And some days I am like “what is wrong with this one sef, don’t you see your mates on YouTube and blogs?” But then I remember that the ladies on there mostly show their good hair days so I have learnt to work with what my hair throws at me and make it awesome. 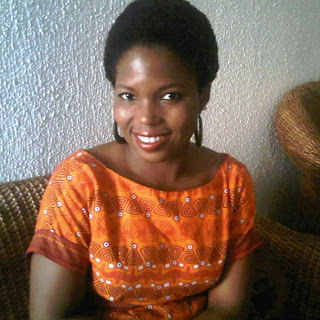 My second time going natural was when I decided to really study my hair. First, I learnt that my hair didn’t have a curl pattern, then I found out my hair was low porosity. It wasn’t until late last year that it dawned on me that my hair strands were actually thin (I had always thought of them as thick and resilient) and densely packed. I have been tweaking my hair regimen* (more on this later) based on these findings and my hair has been good. In the beginning, I was searching for miracle products, products that would keep my hair moisturized for days, products that would practically ‘melt’ the tangles in my hair and all that jazz. But I have realized that it is mostly about technique; how you detangle, what tool is used, how you moisturize, hair protection at night etc. Though I am still a product junkie, my junkism is not based on looking for the next best thing, but more about me being my usual inquisitive and experimental self. Once I started being realistic about my hair, she became easier to manage. 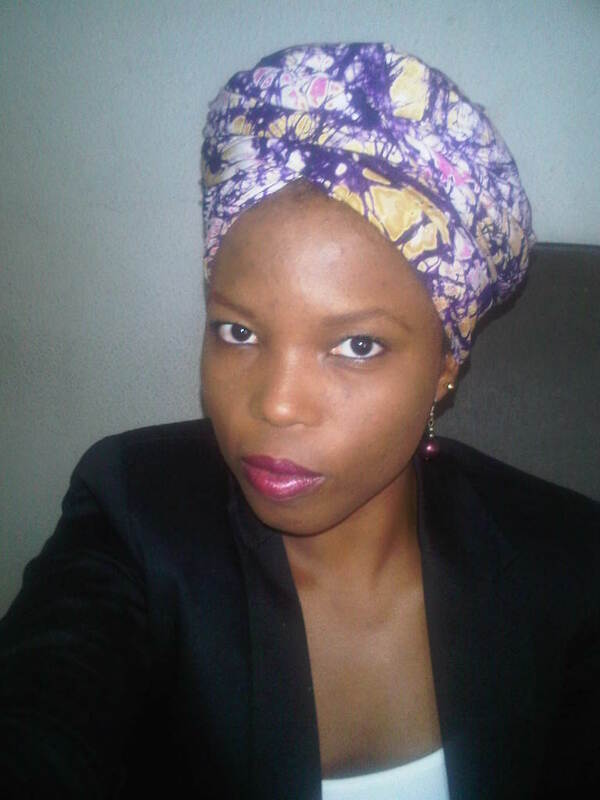 How does corporate Nigeria take your hair? I haven’t had any issues with my employers, past and present, about my hair. The people I have had issues with are my colleagues at work. They don’t just understand why my hair is natural. They wonder why I won’t get a relaxer like everyone else, why I would rather have my natural hair styled than have it in extensions, if I am a member of a particular religious group... I could go on and on. But I have not had anyone say anything really nasty about the hair at work, at least not to my face. 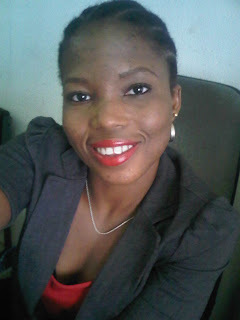 In fact HR manager likes the hair sef. I usually just try to enlighten them about natural hair and my preference and they leave me be. Apart from these strange folks, most people I have worked with love that I am doing something different with my hair. Plus I have inspired some ladies in my place of work to take better care of their hair even though they prefer to have it relaxed. How do you deal with negative comments at work? Forget negative comments at work because I don’t get any from there; let’s talk about negative comments in church and other places. Strange right? Example 3: (This one happened at my LGA during my service year) “Do you comb your hair at all?" Example 4: “Come let me buy relaxer for you”. The thing is, because I am used to getting very nice compliments about my hair, all these evil comments don’t get to me and I just think they are weird. I usually answer them appropriately and smile or I ignore them totally. At one point my mum did not understand why I went natural. 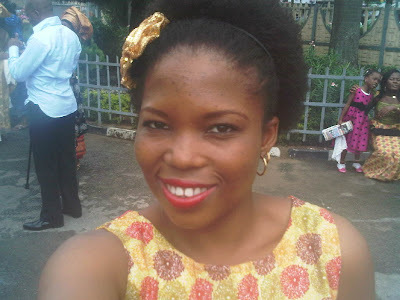 She was of the opinion that it is either my hair was a TWA or it was relaxed, that I couldn’t go about looking unkempt. But now she likes the hair and compliments it sometimes. It is my hair and I choose what I want to do with it. I can’t say categorically that I have a regimen I follow. These days, I listen to my hair and do what she wants. If my hair and scalp feel dirty I would shampoo. If dry, I would co-wash or do a deep condition. 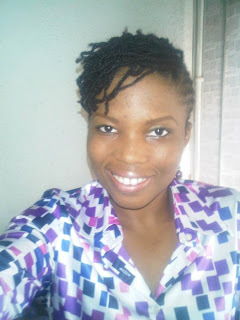 When I have my hair out (without extensions), I like to shampoo and condition/deep condition my hair during the weekend. 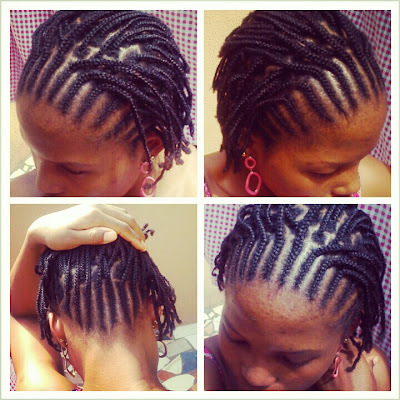 For protein treatment, I henna my hair every 3 – 4 months. 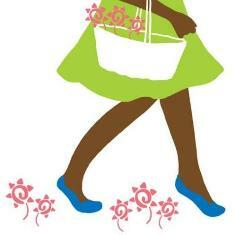 I feel regular protein treatments make my hair dry and more prone to breakage so I do more of moisturizing treatments. I moisturize and seal my hair every other day. A typical wash day for me would be to first finger detangle my dry hair and put it up in 8-12 twists. Then I would shampoo with a clay shampoo bar or do a bentonite clay treatment, rinse, apply conditioner and then detangle properly using a wide tooth comb or a Denman brush and then further separate the twists so I end up with 16-20 twists when I am done. On the days I deep condition I still use a rinse out conditioner. When I am done with wash, I wrap my hair in a towel or t-shirt to take out excess water and then let my hair air dry. I spray my hair with aloe vera juice, seal with castor oil and use moisturizer over that and then style when hair is fully dry. 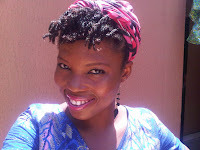 When I have my hair in a protective style like twists, braids or cornrows, the above regimen applies because I usually have the style in for a week. If I have extensions, I prefer using witchhazel to clean my scalp instead of washing because washing my hair in extensions makes it frizzy. When I remember to prepoo, I love to use coconut oil. Apart from all its benefits, I like the fact that it is light I won’t be left with buildup after shampooing. I love clay shampoo bars now, just started using them and I am sold. 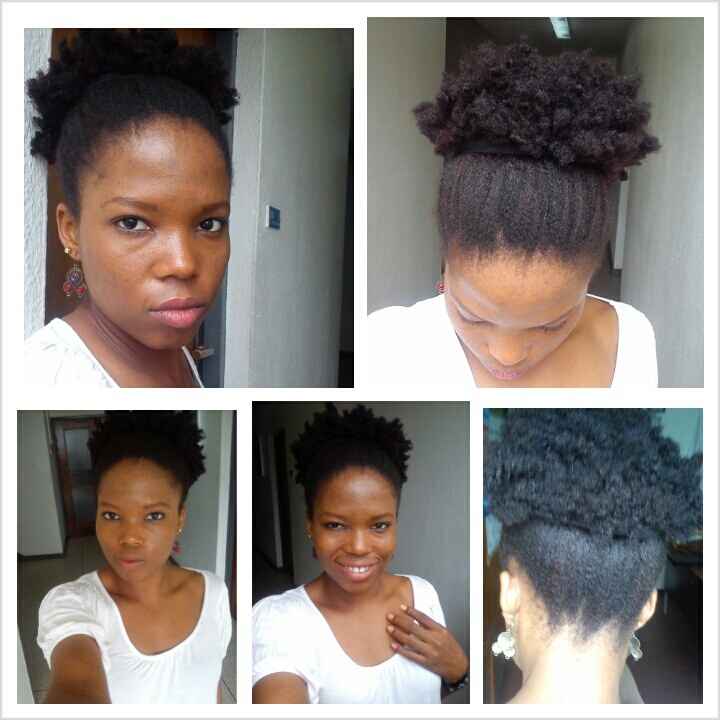 Bentonite clay treatment is really awesome. These clean my hair and scalp very well without stripping moisture. I co-wash when I can and I love to use VO5 conditioners and Sauve Naturals Coconut Conditioner for this purpose (these also serve as my rinse-out conditioners). Henna for protein treatment and Castor oil as a sealant (I blend with some other oils because Castor oil is really thick). For deep conditioning I usually amp up my regular conditioner with oils and honey or I use avocado and honey but I have found that my hair really loves Aubrey’s Organics Honeysuckle Rose Conditioner but it isn’t always readily available. 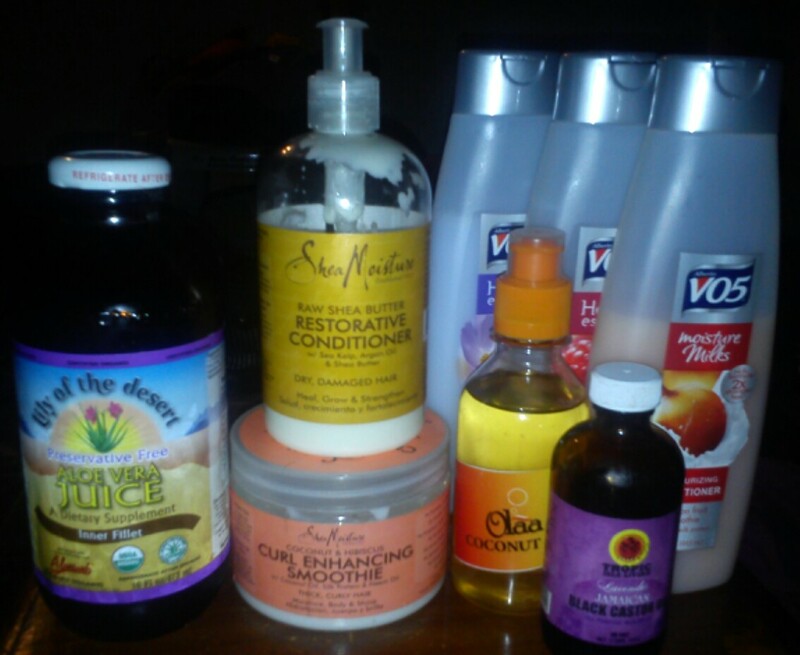 For moisturizers I like Shea Moisture Curl Enhancing Smoothie or Shea Moisture raw Shea Butter Restorative Conditioner. Finally my hair loves aloe vera juice, I have been using this as a leave in since I discovered it last year. You can find me on twitter @pharmnikki or instagram @nikkibutterscotch or in my father’s house :). Any last words or advice for transitioners? It is very important to be patient. Your hair can’t grow long overnight and it will take time to find out your favorite hair products, detangling methods, hair styling methods etc -unless you are lucky. Enjoy each stage of your hair journey; remember it is not something you are used to so take it one day at a time. All the best loves! Lol at "do you comb your hair at all?" I had a similar experience during my service year too. Plus that husband talk is old na, haba. Thanks for squeezing out time for us Nikki! The pics and info are just too mush, Oshe o. I wish I knew what you know now I went natural. Intersting profile; I love Nikki's hair styles. Lol at don't you comb your hair at all! with all those beautiful hairstyles, how can people ask you such questions. I have the same hair! 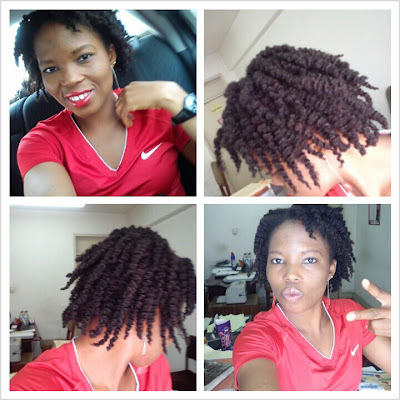 love the twistout and "patewo" with updo. lol! about the comb thing, my sis was surprised when I told her I don't comb my hair! I am so happy you ladies found the interview interesting and funny. Thanks for the love! @themanecaptain I don't know o! I guess it is somethng they are not used to, when people see 'strange' things, they question them. For the record, I comb my hair mostly once a week, on wash days. Lmao! 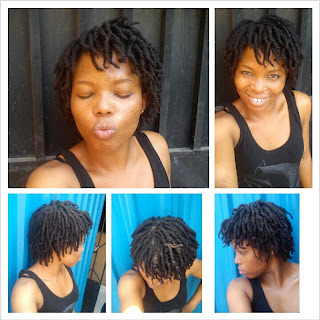 "(meanwhile guys are drawn to the ‘ugly’ hair o!)" i'm sorry, but who are these guys? how come i don't know them??? Adorable adorable adorable ooo! Lol, hair and face. My favorite is 'Oya come let me buy relaxer for you' HAHAHA! As if you're one pikin. Don't mind them jare. Your hair is beautiful. And so are you. You are such a gorgeous lady and your hair is just absolutely beautiful. There are just too many "blindfolded" people out there. Relaxed hair is IT for them. Lovely hairstyles and ur story has motivated me. 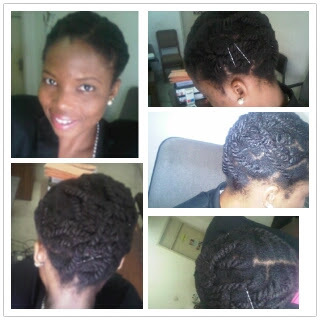 Just started d natural hair thingy! My hair is not as full though I must say which is annoying. Do you make ur hair all by urself if not, will not mind u linking me with ur stylist. Kudos fellow naturelll! thank you t.fire, all the best in your hair journey.love your "not so full" hair as my hair density can be overwhelming. 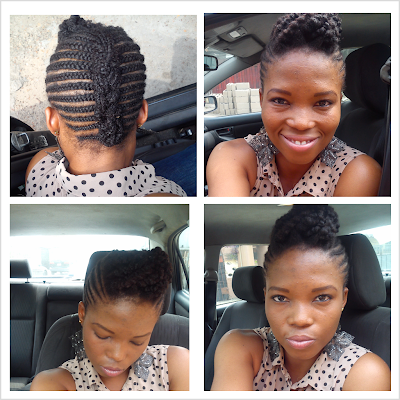 I do my twists and "out" styles myself, braids and cornrows are done by an hausa lady who lives very close to my house. By the way, your hairstyles are so creative and on point. Keep it up!